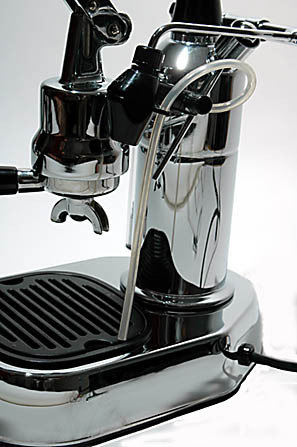 The Europiccola EPC-8 is an Italian made, lever style espresso machine made of the finest materials. 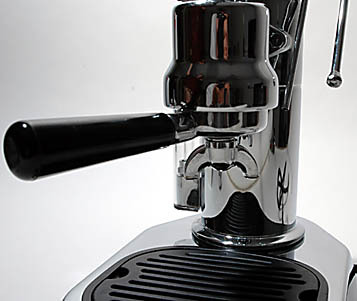 Each pull of the lever (piston) draws a perfect shot of espresso. 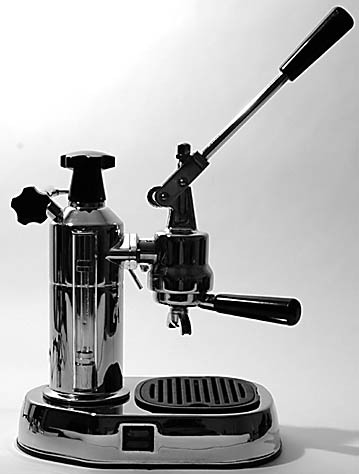 The EPC-8 features an all chrome finish, heavy duty portafilter, sight glass to inspect water level, removable drip tray, and nickel-plated solid brass boiler with 20 oz. capacity. Makes up to 8 two oz cups of espresso before refilling boiler. There is an internal thermostat to maintain constant pressure. Internal thermostats continuously monitor pressure with re-set fuses. Long life stainless steel heating elements, ETL listed, nickel-plated, solid brass boilers. Demonstration video included. Milk for cappuccino can be frothed using either the traditional steam wand or the Cappuccino Automatic frother (included). Chrome models are furnished with this dual system. Weight 14 pounds, Height 12"
Made in Italy. Gift Boxed. 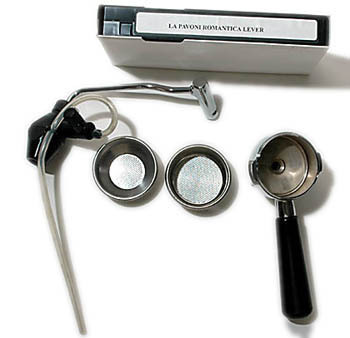 Also included: single and double filters to insert into the portafilter and instruction video. The Europiccola seen from the front. 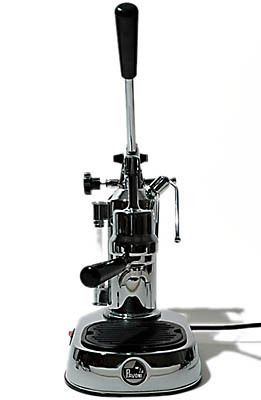 The manually operated piston provides more pressure than electric pumps available in non-commercial home espresso machines. One year limited manufacturer's warranty. Over 30 nationwide repair facilities available.